Happy Monday! Well, June is just whizzing by, isn't it?? 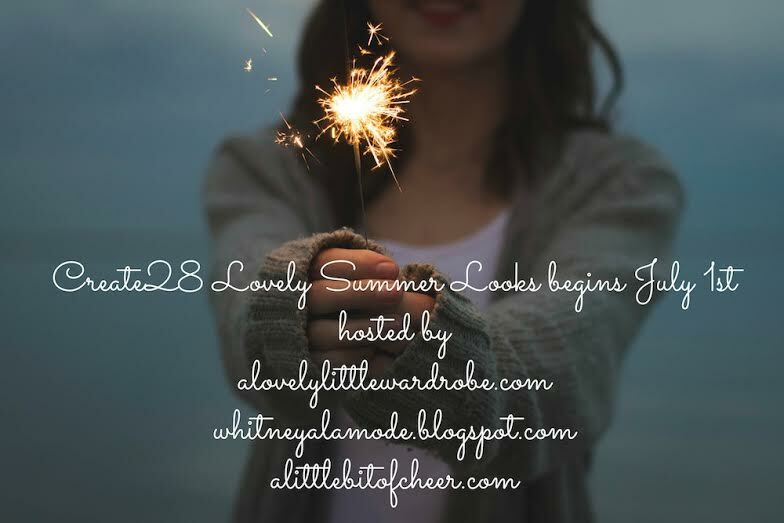 Since July is right around the corner I wanted to introduce you guys to a little style challenge that my two good blogging buddies and I are hosting in July! ~ Each day there will be a Lovely Summer Looks prompt such as "Printed Shorts," or "Maxi Dress," to inspire your daily outfits.You can see the full list below. Each day on our blogs, we will be showcasing our outfits for that particular day. ~ YOU can play along!! Each Monday, we will host a link-up where you can show us your looks! 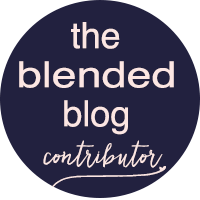 If you're not a blogger, no worries! 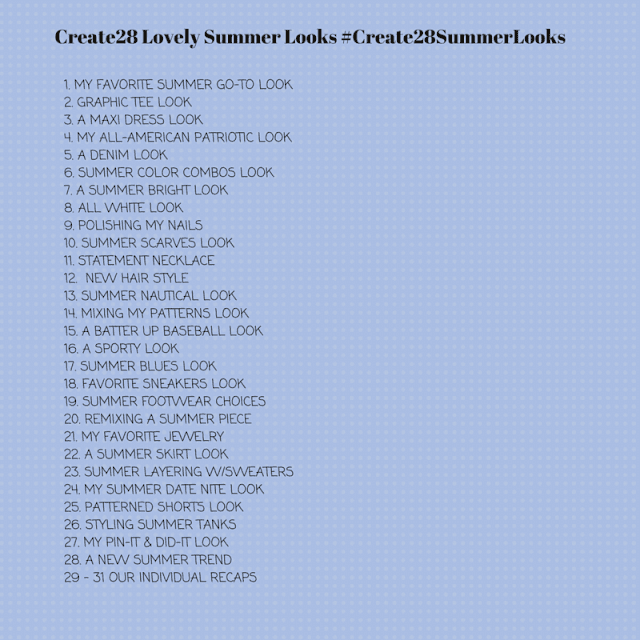 Play along on Instagram #Create28SummerLooks--use the hashtag so we can see all of you pretty girls and cheer you on!! ~ Each Monday, we will also each choose a favorite look from the previous week, so check our blogs to see if you're featured! Carrie ~ Carrie is a fifty-something who currently works as an Administrative Assistant. She is a former teacher and still a teacher at heart. She is an avid coffee drinker and loves real food, especially when it’s cooked by her husband. She enjoys spending time with friends, Texas country music, reading and working out at the gym with her husband. She has one grown daughter and one cat who still lives at home. 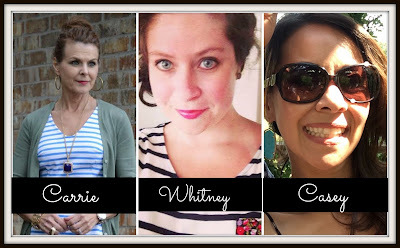 :) At A Lovely Little Wardrobe she writes about style especially for petites and 40+ looks. She also enjoys linking up with bloggers, highlighting interesting posts of others and sharing her faith through her blog. Whitney ~ Whitney is a twenty-something French teacher who lives in the beautiful state of Michigan (she's pretty smitten with the Mitten). Speaking of smitten, Whitney adores her cat, Izzo, reading Agatha Christie novels, and big slices of strawberry pie. At Whitney à la mode she writes about her journey to become more fashionably put-together on a teacher's budget. Did you know that "à la mode" means "in style" in French? Casey ~ Casey is a thirty-something (ok LATE 30-something) part-time teacher and mom of three, ages 9, 6, and 3. She stays busy chasing after the kiddos, teaching, leading Sunday school and blogging. At A Little Bit of Cheer, she shares simple, down-to-earth outfits and styling tips, easy recipes and fun with family. Her goal is to bring A Little Bit of Cheer to you, every time you stop by her blog! We can't wait to see all of your Lovely Summer Looks!!! July 1st will be the first day--show us your favorite go-to look for summer! Cheers to a Lovely Summer! Bonjour! My name is Whitney! 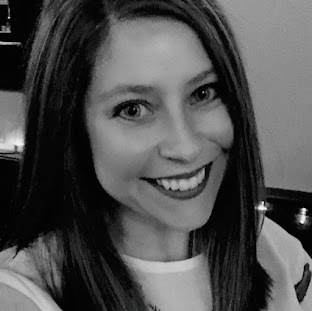 I'm a thirty-something navigating a career change, wedding planning, and wardrobe remixing on a budget- all while exploring my new hometown in Grand Rapids, Michigan. Join me as I make my thirties my best decade yet!